Birchall Racing are incredibly honoured to have been awarded the prestigious Fred Craner Trophy. The trophy is presented to a British driver within the ACU Midland Centre area for outstanding achievements on the international stage in racing. If the name Craner rings a bell it is because the tough Derbyshire man was responsible for the legendary Donington Park Circuit becoming a reality, back in 1931. The former Isle of Man TT competitor and secretary of the Derby & District Motor Club approached the then owners of the estate to use the land for motor racing. Fred’s name lives on in the iconic ‘Craner Curves’ section of the track. Birchall Racing have got their 2018 FIM Sidecar World Championship campaign off to a great start by placing as runner-up at round one held at the famous Le Mans circuit in France. The Mitchells of Mansfield supported team were immediately fast on the 4.185km Bugatti Circuit. Under the hot French sun and with the track in perfect condition, the Birchall brothers went quickest on Thursday’s free practice. 2017 FIM World Sidecar Champions Ben and Tom Birchall are fully prepared to take on the 2018 racing season. The brothers will not only be defending their world title, but also their Isle of Man TT victories and hope to repeat those wins in 2018. 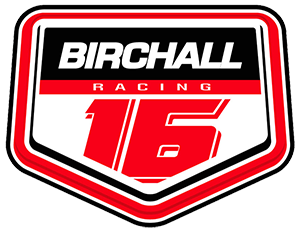 Birchall Racing are extremely thankful for the continued support of all their loyal sponsors, without whom racing at this level would be impossible. Local company, One Call Insurance specifically have also agreed to further their budget with the Mansfield team in order for them to fight to retain their world title. Reigning World Champion Sidecar racers Ben and Tom Birchall travelled to Assen in the Netherlands for the penultimate round of the British 600cc Cup that takes place within the British F1 Sidecar Championship. The Mansfield brothers recorded a double win at Assen in their class and remain in second place in the cup but with double points on offer in the final two races at Brands Hatch there is a slim chance they could win the title. The weather played its part in qualifying and both races at Assen but the Mitchells of Mansfield supported team took it all in their stride to qualify in third place overall in the dry and went on to contest the first race on a very wet and slippery circuit on Saturday. Mansfield sidecar racers Ben and Tom Birchall rode to a brace of wins in a round of the British 600cc Sidecar championship at Snetterton at the weekend and move to fourth in the rider standings after contesting just two rounds (three races) in the series. The Mitchells of Mansfield supported brothers secured third place in qualifying in a mixed grid of F1 and 600cc outfits and were fastest in their class and as the first of two races got underway the six times TT winners slotted into fourth place overall before moving up to third at the half way stage of the 12 lap affair. They maintained third place throughout the remainder of the race to take the chequered flag as comfortable winners in the 600 class with Ellis/Richardson finishing in second place some distance behind.